The American media propagandists exert every effort to try and show the military commitment to Afghanistan as success however if we were to look at the ground realities, the picture is actually quite the opposite and if we look at some of the indicators, we can understand that the earth is shaking beneath their feet and sooner or later, they will withdraw all their forces. – Whenever any side engaged in fighting splits regarding correct course of strategy, recognize the war has taken its toll. Tough talk about hammering an enemy and asking for negotiations the next day indicates that the war has dazed and confused that side just as US president Trump rebuffed any possibility of talks with the Taliban and the next day his deputy secretary of state – John Sullivan – called on the Taliban to come to the negotiation table and even asked Pakistan for help. Afghan affairs analyst, Waheed Muzhda, says that the former Soviet Union was in the exact same predicament during the end years of its occupation as America finds herself today. They would also intensify the war one day and the very next, they would propagate negotiations and reaching an understanding. Lost in a labyrinth, they were unsure about which policy to pursue and such, this was considered an indicator of their impending defeat and withdrawal which can be applied to the American state of affairs today. – Any side fighting a war that quietly continues forging ahead and abstains from empty show of power or boasting about crippling his opposition, then recognize that they are making progress and have closed in on their objectives. Any side that is practically exhausted and feels there are shortcomings in its work will simply begin playing the cards of show, exaggerations and threats in order to mask its failure. A few years ago no American president talked about US might, nuclear capabilities or parades to show off force simply because everyone grasped the extent of their strength and there was no need for displaying power. Today however America has lost their awe inspiring status due to repeated failures in every engagement and Trump is trying his best to redeem their lost standing with threats and chest puffing. A couple of days ago Trump demanded his military organize a parade after decades while the sold-out media has intensified propaganda about airstrikes and superior American technology to spread fear. Such moves only give credence to the argument that America is no longer capable and seeks to hide its failures with show and empty threats. – If you want to understand where a government stands regards to success and failure, then don’t try to gauge their state of affairs through their formal officials because it is the paid duty of active officials to talk about success even during failures and show everything as orderly. The standard for measuring the true state of a strategy is through the mouths of impartial and low-ranking officials. 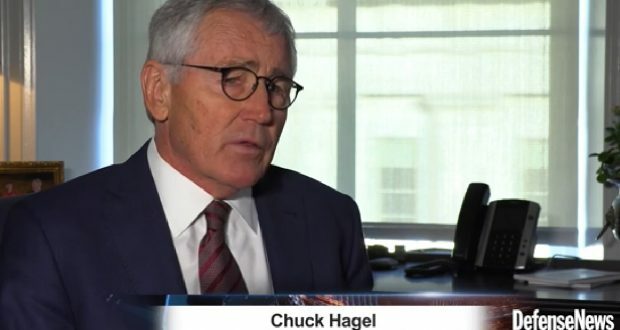 During an interview with Defense News, the former US secretary of defense – Chuck Hagel – said that America has failed in ending the war in Afghanistan and that it is in the worse situation it has ever been as they are heading for a defeat despite spending billions of dollars over the past 17 years. A few days earlier the current US secretary of defense – James Mattis – was grilled during the House Armed Services Committee by Republican Senator Waltor Jones who said that Afghanistan is the graveyard of Empires and we have to accept that. All this rattling only points towards one conclusion that America has lost her way in Afghanistan and the ground has begun shaking beneath her feet. If the Taliban manage hold out a bit longer, they shall earn the honor of defeating an empire of the 21st century just as the Afghan nation earned the glorious medal of the 20th century by defeating the Soviet Union, Allah willing.